Posted on June 19, 2012 by Delicious History Blog	• This entry was posted in Alcohol, American History, Origin Stories and tagged alcohol, cocktail, cocktails, food, food history, gin, history, kentucky derby. bourbon, mint julep, recipes, whiskey. Bookmark the permalink. 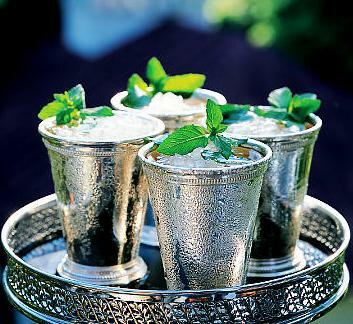 Mint juleps really are fantastic. Thanks for sharing the history! So interesting. Now I am keen to drink my next one out of a pewter cup…! I enjoy mine with lot of mint!